Today we have the girls of Simple Simon and Company. Their talent is stellar. In fact, I kind of wish I could sneak into their homes and steal some of the clothing they've sewn like THIS and THIS. Please disregard that that sounds creepy. I just really admire their skills and taste. Welcome ladies! I'm liZ from over at Simple Simon and Company where my sister-in-law (who is also named Elizabeth) and I blog about our sewing and homemaking adventures. 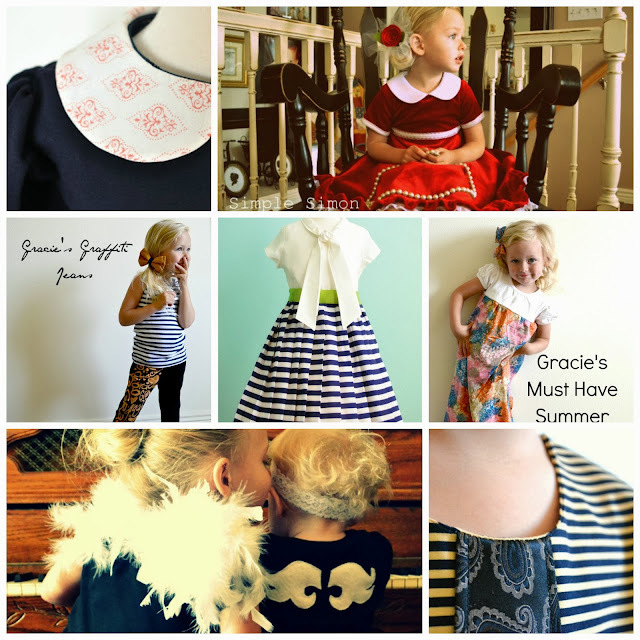 We were so excited when Cheri invited us to participate in her Refashionista series not only because we are long time followers of I am Momma Hear me Roar and love her blog but also because we love refashioning! For today I decided to use a dress that my sister gave me a long time ago and a bodice that I cut out for Grace and never used. And attached it to the orphaned bodice. Then I chopped the sash off of the dress, sewed it closed, pressed it up nicely and tied it around the waist. When I was finished Grace had a fun holiday party dress. With a VERY full skirt. Thank you again for inviting us over today Cheri. We had so much fun making this project. Thank you liZ! That dress feels totally different than what you started with and it's absolutely adorable on Grace. And the rest of you can go look through the amazing creations at the Simple Simon and Company blog HERE. Thanks for stopping by. 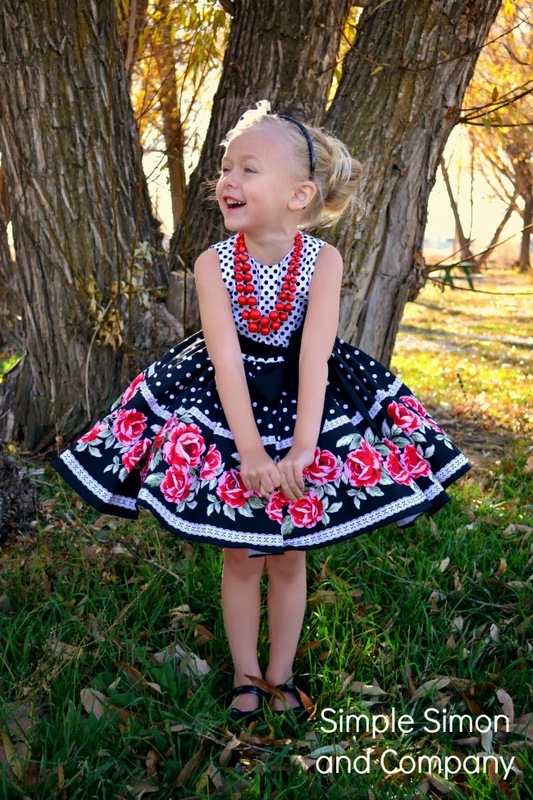 I love a super full skirt on a little girl. What a great refashion. Wow! You made me a convert! Lizzie in Sweden.